Alright, so your big data infrastructure is up and running. You've collected and analyzed gigabytes, terabytes, maybe even petabytes of data and now you'd like to visualize your data on desktop PCs, tablets, and smart phones. How do you go about doing this? Well, let me show you. Visualizing big data, in many cases, isn't far from visualizing small data. At a high level, big data when summarized/aggregated, simply becomes smaller data. On the front end, we utilize responsive design with a single code base to support desktop, tablet, and mobile phones. 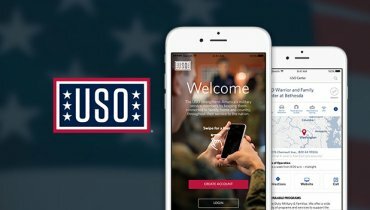 For native mobile apps, we can utilize tools like PhoneGap or Adobe Cordova for responsive design; a process that significantly cuts down cost, shortens time to market, and is a great option for business apps. Server side MVC (model view controller) has been the de facto standard for web app development for quite some time. It's mature, has a well established tool set (i.e Ruby on Rails), and is search engine friendly. The only downsides are it's less interactive and less responsive. Typically 'big data' is collected through some kind of streaming APIs and stored in HDFS, HBase, Cassandra, or S3. Hive, Impala, and CQL can be used to query directly against the data. It's fairly convenient to query big data this way, however not efficient if data has to be queried frequently for reporting purposes. In these situations, extracting aggregated data into smaller data may be the better solution. MongoDB, Riak, Postgres, and MySQL are good options for storing smaller data. Big data can be transformed into smaller data, using ETL (Extract, Transform, Load) tools, thus making it more manageable (e.g. realtime data can be aggregated to hourly, daily, or monthly summary data). Note: For single page application, a restful API server is needed to access the aggregated data. Our favorite API Server is Ruby on Rails. ABS receives over 500 million tracking log entries from Cloudfront every year, including several bible verse views per entry. What's this amount to annually? About several billion views each year! 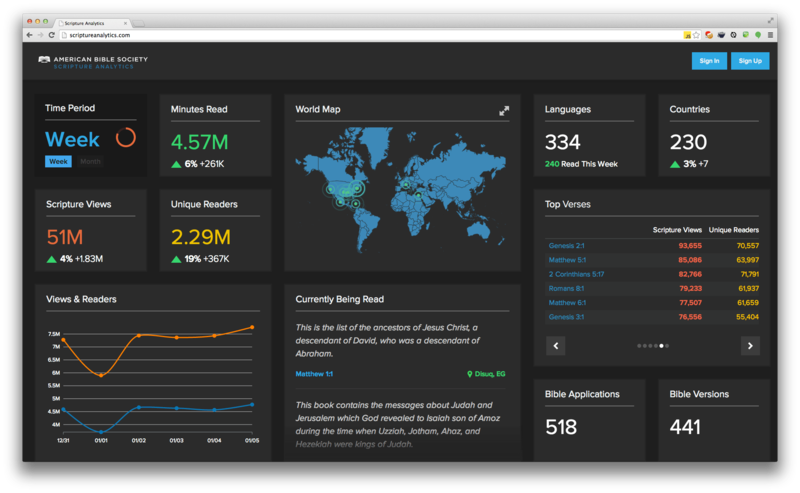 Intridea was asked to develop public and private dashboards for visualizing Bible readership stats in an interactive and responsive way. 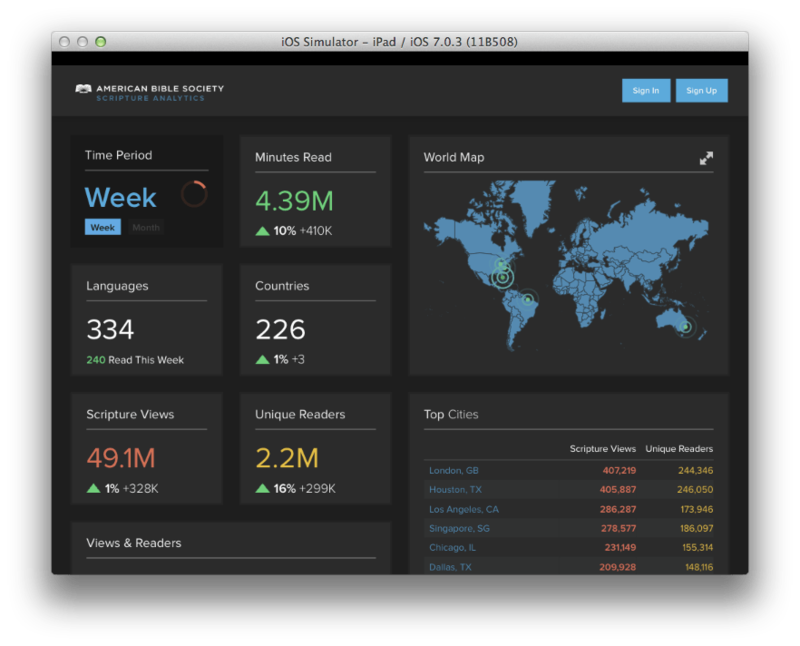 The public dashboard, scriptureanalytics.com, was developed for the general public to view summary level status and trends. While the private dashboard was for ABS and publishers to track individual translations, helping them be strategic on a multitude of levels. 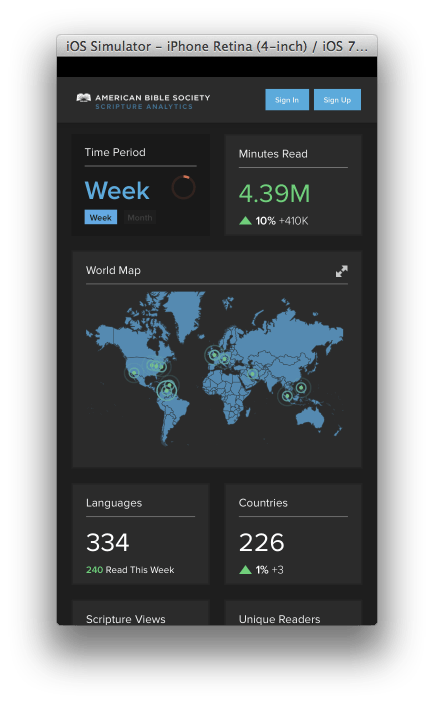 The dashboards were developed as a responsive single page app with Rails/MongoDB as the backend, and Backbone.js, D3, Mapbox as the frontend. The app pulls aggregated hourly/daily stats (generated using Hive and Pig running on Elastic Map/Reduce Hadoop clusters against the raw data stored in S3) in the JSON format from S3 and stores them in MongoDB for fast query access. The dashboards pull data from MongoDB via Rails and use Backbone/D3/Mapbox to visualize the stats. We use MongoDB's aggregation framework to query the data stored in MongoDB. 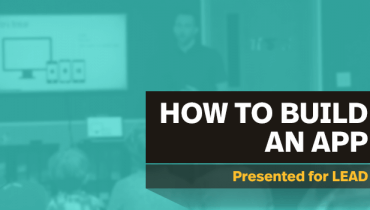 Got any questions about visualizing big data on a small screen? Let us know! Want to learn more? Check out the entire Big Data series below!